Look everyone! Steve’s grandma stopped by for Easter! | Separated by a common language. « Playin’ in the April Snow! Look everyone! Steve’s grandma stopped by for Easter! LOL! Oh, that’s too funny! 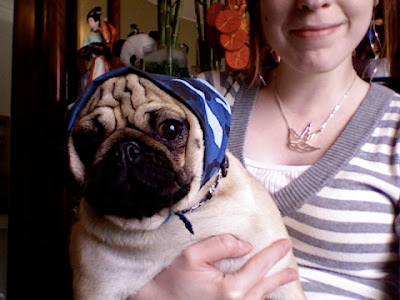 Winston makes a good granny! You’re going the right way as Tupac IS steve’s grandma!